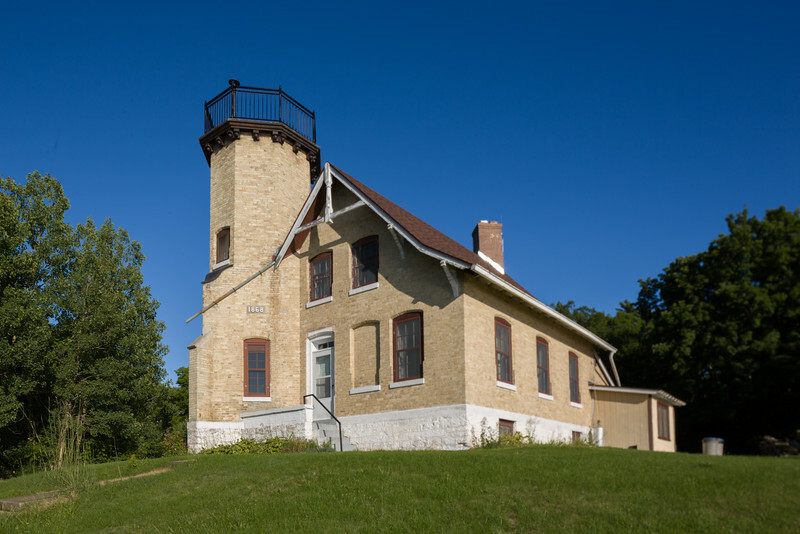 The lighthouse, on the northwest corner of Chambers Island, was established in 1858, and automated in 1961. Reachable by road on the island, but the island is only reachable by boat or plane. Captured with a tilt-shift lens to eliminate converging lines.